Kemp Financial | Why Should Your Business Have Group Benefits? 07 Apr Why Should Your Business Have Group Benefits? In a competitive marketplace, company’s sometimes struggle to keep their top talent. You may wonder why your employees are leaving and what you could have done to make them stay. Are you one of these business owners? Keep reading. Sometimes, you need to offer more than just a paycheque to keep your employees satisfied! In order to attract, recruit and retain your talented employees, perks such as group benefits can go a long way. Does Your Business Have Group Benefits? 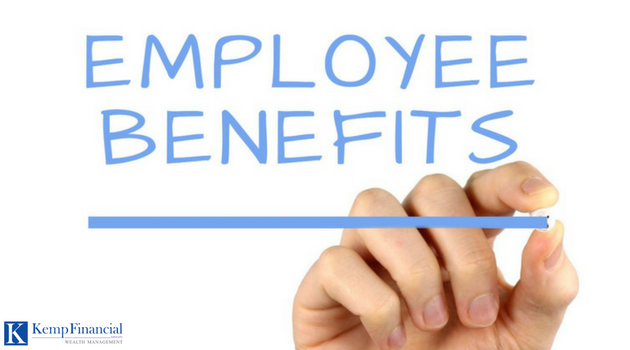 The listed benefits programs are not only great for valued employees but also to you, as a business owner. Many employees worry that they may not be able to work because of an injury or illness, which is why offering top employees individual insurance in a grouped format may be something to consider. -Coverage is flexible: each class of covered employees can be customized based on needs and budget. As business owners, we know how hard it is to attract the right people for your business, and retaining them can be even harder. Group Benefits is a great way to show potential and current employees that their work in your company will be valued and you strive to maintain a competitive, successful and happy workplace for all. To find out if your Group Benefits Program is priced properly, or you would like to get your businesses Group Benefits Program started, our Financial Advisor, Rachel Gannage, specializes in the Group Benefits side of the business. To learn more about Rachel see here. With over 100+ years of combined experience within the family, we understand that Canada’s economy is dependent on the health and wealth of our client’s and communities. Kemp Financial Group can be reached at (289) 932-5367 or drop by our office anytime at 3976 Portage Rd, Niagara Falls, ON.Let Our Family Take Care of Yours.Connect with us today!